1. 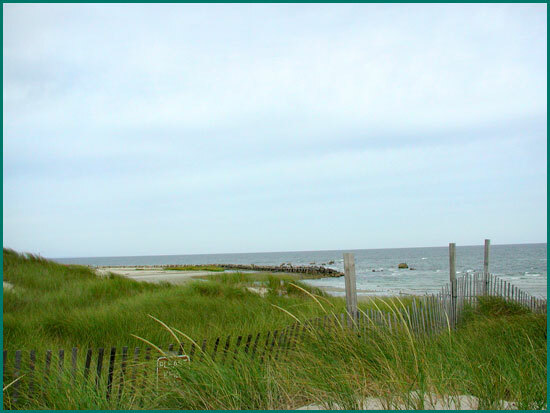 Cape Cod National Seashore: National Park, Excellent Visitor Centers in Eastham and Provincetown, biking and walking trails, beaches, dunes, and picnic areas. 1. Tour Cape Cod National Seashore and Provincetown, loop up Rt. 6A and Rt.6 to National Seashore, then to P-town and back down Rt. 28 to Chatham then home. 2. Rt. 6A, Old King's Highway, to Sandwich, down Rt. 28 to Woods Hole and Falmouth. 4. Trip to Plymouth Rt. 6 to Rt. 3 Plymouth Plantation, Mayflower & Plymouth Rock. Dennis has some of the best beaches on Cape Cod. Corporation Beach is .6 mile. Other Northside beaches include Mayflower and Chapin which are a short drive away. Scargo Lake is a fresh water lake a mile East on Rt. 6A. 1. Cape Cod Rail Trail, Begins at Rt. 134 South Dennis ends in Wellfleet. 39.6 miles on mostly flat surfaces past lakes, bogs and some beaches. 2. Nickerson State Forest, off Rt. 6A, Brewster, various length hiking and biking trails in forest and lake areas. Fishing: No license for salt water fishing. Dennis Highlands, 1 mile on Old Bass River Rd. Dennis Pines, 4 miles on Rt. 134, East Dennis 508-385-8347 for reservations. Longest Drive Driving Range, Great Western Rd., Dennis, 508-398-5555. The Cape Cinema with it's magnificent Rockwell Kent mural ceiling is on the Cape Playhouse grounds, 508-385-2503 offers foreign and independent films. Scargo Tower on Scargo Hill overlooking the Lake and Bay a stunning 360° view of Cape Cod that is awesome at sunset. Route 6A in Dennis and Rt.28 are filled with unique shops. Chatham provides old fashion downtown shopping in classy boutiques and shops. 1. The best walking trails are in the Cape Cod National Seashore. 2.Massachusetts Audubon Society Wildlife Sanctuary, Wellfleet, 6 trails by brooks, bay, ponds and birds. 3. Indian Lands loop in South Dennis behind Town Hall, along Bass River.